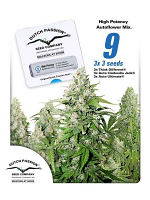 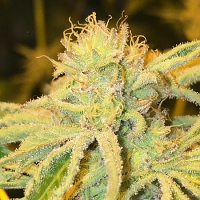 White Widow x Sweet Tooth Feminized Cannabis Seeds: White Widow has been a stalwart of the Amsterdam Coffeeshop scene since her introduction in the mid 1990's. 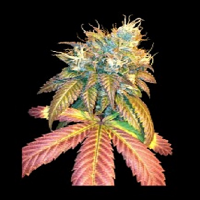 She is made up of a South Indian Sativa that has been crossed with a Brazilian Sativa strain. 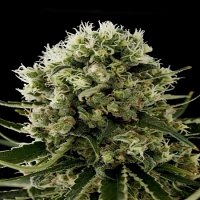 Here the White Widow has been crossed with the extremely sweet tasting Bubblegum plant from Indiana.